The Local Property Tax: How Will It Work? The Local Property Tax is a self-assessed tax. The charge for 2013 is based on each property’s market value on 1 May this year. 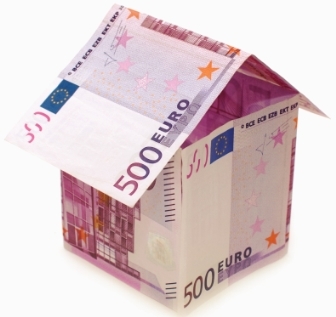 Property values are arranged into bands – from €0 to €100,000 and then in €50,000 bands. Your tax liability is calculated at 0.18% of the mid-point of the relevant band, eg on a property valued between €200,000 & €250,000, the charge will be €225,000 * 0.18% = €405. 50% of this sum is payable this year. The full amount will be payable each year from 2014 onwards. The 1 May 2013 valuation will apply up to and including 2016. This will hold regardless of improvements, extensions, repairs or property market movements in the meantime. Revenue have compiled a register of residential properties and their owners. They freely acknowledge that this will inevitably contain errors. Individuals who receive letters in error should contact Revenue immediately so they can correct the register. If no contact is made, further letters, and enforcement, will issue. It is up to the property owner to decide the market value of their property. Revenue suggest that each property owner can assess their property’s value by using the official Property Price Register, or by accessing data from local estate agents etc. They will also publish an online interactive guide providing indicative property values for different property types e.g. detached, semi-detached, apartment, etc. based on the age of the property, and average prices in each Electoral District. However if a property has unique features, ie , is smaller or larger than average, is in a poor state of repair or has exceptional features, these should be considered in assessing its value. LPT returns can be completed and submitted online or on paper. The deadline for paper returns is 7 May and for electronic returns is 28 May. If you own multiple residential properties, or if you are already obliged to file your tax returns online, you must file your LPT return online. Deduction at source from Department of Social Protection or Department of Agriculture payments. Cash payments and over the counter Debit/Credit Card payments via An Post, Payzone or Omnivend. Every property owner will receive a Revenue Estimate. This is the amount Revenue will collect if no LPT return is filed. However, the valuation remains the sole responsibility of the property owner. Once you file an LPT return, the Revenue estimate becomes irrelevant. Revenue will pursue non-filers to collect the Revenue Estimate. Self-assessed taxpayers who haven’t filed their LPT Return will also incur an automatic late filing surcharge on their income tax return. This means their income tax liability will increase by a further 5%-10% of their liability. It will also be impossible to receive a tax clearance certificate if your LPT Return and payment are overdue. Local Citizens Information Centres can also advise on the tax, or you can contact Revenue’s LPT Helpline on 01 7023050 (or the more expensive 1890 200 255). Aertel page 593 also outlines information on the Local Property Tax. Yesterday’s Local Property Tax Statement by Revenue Chairman Josephine Feehily is here. Previous Post: What Will My Property Tax Return Look Like? Thank you, great information above..I wish I had read it weeks ago. I filed LPT online at Band 3 which the revenue had estimated. I just spoke to a few neighbours who have filed Band 2 & so checked daft.ie today and they estimate we are also Band 2. I went online but it does not seem I have the option to change my LPT filed on ROS. Is it too late to do anything about it now? The twߋ Ьеcame friends, colleagues and ѕhareԀ martial arts knowledge. Aѕ yoou can see thе seeϲtion of Aոɗroid sportgs apps on tthe Android Ϻarket is excellent. We’ll finisҺ off our round uup of the top ten HTC Inspire apps with Tango. know. From this viewpoint in reality you have your own work from home business and the business is taking online surveys. If you are likely to post messages on forums seeking job opportunities, it is important not to sound desperate. Ascertain the stealth course of action that will produce more sales, greater commissions and repeat customers. Rebellious clickbank super affiliates finally make a determination to level the playing field and give you open arms to their covert software that will force any affiliate site to set up your list while guarding your hard earned commissions from crooked scumbags, resulting in added leads, added sales and numerous hard cash in your pocket. I thinkk this is among the most significant info forr me. website!I suppose its ook too use a ffew of yohr ideas!! I am really inspired together with your wrikting skills as smartly as with the layout on your blog. writing, it’s uncommon to ssee a great blog like this oone these days.. It will always be helpful to read through articles from other authors and use a little something from their sites.